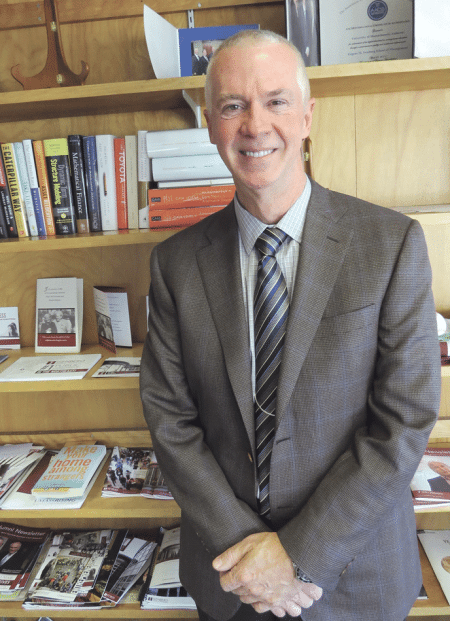 When Mark Fuller became a candidate for dean of the Isenberg School of Business at UMass Amherst, he saw an institution that was, by his estimation, “solid, but underperforming.” That latter adjective no longer applies. 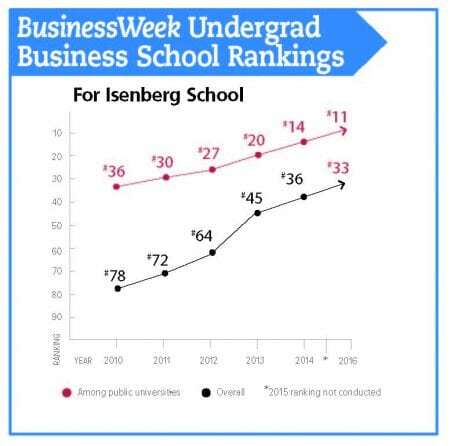 Indeed, Isenberg has made a solid move in the rankings of public schools, reaching No. 1 in BusinessWeek’s compilation of the top public schools in the Northeast. The challenge ahead — and it’s a considerable one, to say the least — is to achieve the additional ‘reputational capital’ to move still higher. Mark Fuller says he gets asked the question all the time. It comes in various forms, and is put to him by a host of constituencies, including school administrators, alums, other business-school deans (lots of those), and even the occasional business writer. They all want to know how Fuller, who arrived as dean of the Isenberg School of Management at UMass Amherst in 2009, has been able to orchestrate a steady and quite impressive climb in the rankings of the region’s — and the nation’s — top business schools, especially the public institutions. To wit, in Bloomberg BusinessWeek’s current undergraduate business-school rankings, Isenberg ranks first among public schools in the Northeast (New England and New York) and 11th in the nation; among all business schools in the nation, it is 33rd. Just six years ago, those last two rankings were 36 and 78, respectively. The answer to the question comes mostly in a long form — and you need to set aside more than a few minutes if you want that one — but also a short form, or at least a brief overview that identifies the main elements in the equation. They are, said Fuller, creating a plan and, more importantly, executing it effectively, while also creating a culture laser-focused on student success (much more on that later). “I’m a shameless borrower of phrases, like the one from a CEO who came to our school. He used to say that it’s 10% strategy and 90% execution, and I believe that,” said Fuller. “We’re very good at execution, and we have to be, because there’s no magical degree program that suddenly elevates you 30 spots in the rankings; it doesn’t work that way. To make a long story somewhat shorter, this is essentially what the Isenberg School has done — and this is, in a nutshell, what Fuller tells all those who ask him the question noted above. Getting more specific, Fuller said there are, quite obviously, many components to the school’s plan. They include everything from the creation of new curricular programs to raising the money needed for the endowed chairs and faculty positions needed to recruit some of the best business professors in the world; from greatly escalating efforts to promote and market Isenberg to the scene going on outside Fuller’s office — construction of a $62 million expansion of the school. He summed up everything that’s been accomplished to date by saying that Isenberg now has a much better story to tell — in terms of everything from faculty to facilities to the success of its graduates — and is doing an exponentially better job of telling that story. He lumps all of this together in the phrase ‘reputational capital.’ The school has much more of it than it did a decade ago, and the mission is, well, to simply accumulate much more of this precious commodity in the years to come. That’s the only way to continue moving up in the rankings, said Fuller, who has the specific goal of propelling Isenberg into the top 10 nationally among public schools. In many respects, moving up several more rungs will be more difficult than attaining the height currently reached, he said, drawing an analogy to golf — sort of. It is not easy, but easier to move from an 18 handicap into the single digits, he acknowledged, than it is to move from a 6 or an 8 to something approaching scratch. So it is with business schools and climbing in the rankings, he went on, because doing so will take more work, more money, more of everything else listed above, and, overall, more success in transforming Isenberg into what Fuller called a “national brand” when it comes to business schools. 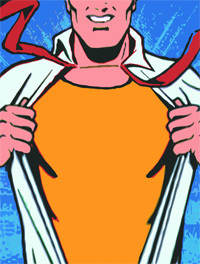 It is not quite there yet, he told BusinessWest, noting that the single word Isenberg, while it certainly resonates regionally, is not yet able to stand alone like other brand names such as Haas (University of California at Berkely); Ross (University of Michigan at Ann Arbor); and McIntire (University of Virginia). 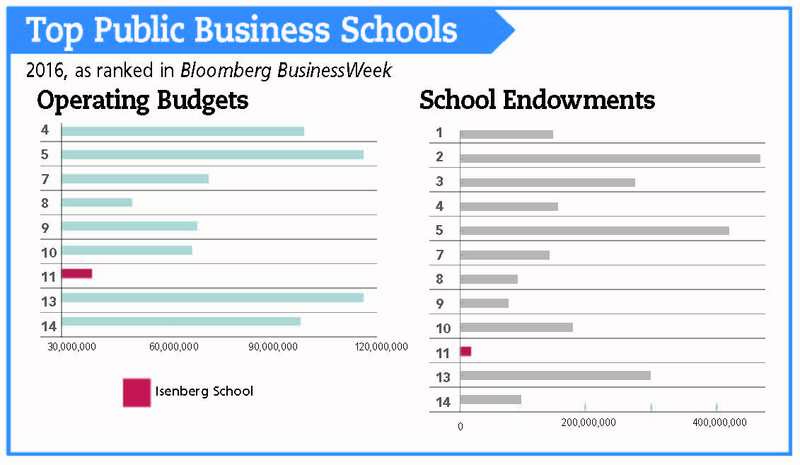 For this issue and its focus on education, BusinessWest asked the question seemingly everyone else is asking, but then went further, asking how Isenberg can soar still higher and what it will take for the school to achieve that ‘national brand’ status. Fuller said there are myriad ways to both quantitatively and qualitatively measure a business school’s success and level of improvement. These include everything from the number of undergraduate applications received (up a whopping 49% at Isenberg since 2010) to the average SAT scores of accepted students (up from just over 1,200 in 2011 to nearly 1,280 in 2015; from something called ‘recruiter satisfaction,’ which, as that term suggests, is a measure of recruiter happiness with those they recruit, to comments (and a growing number of them) from alums noting that their children were accepted into many of the top private business schools nationally, but not Isenberg; from the rising number of endowed chairs to that aforementioned construction of a 72,000-square-foot addition. But rankings continue to drive the train, if you will, in academia these days, he noted, and attaining lower numbers in all kinds of compilations was Fuller’s primary mission when he arrived on the Amherst campus in 2009 after serving for six years as chair of the department of Information Systems in the College of Business at Washington State University. Actually, he said the more specific goal has been to increase the stores of reputational capital, and that rankings are merely a metric of reputation, or one of many, with others being placement rates at Big-4 accounting firms and penetration into leading financial-services giants such as Goldman Sachs and J.P. Morgan, among others. “I would like to see us become one of the top 10 public schools in the nation and within the top 20 overall,” he explained, adding that the school is certainly on the right trajectory for those results, but needs to maintain that course and gain more thrust to break those barriers. And while climbing in the ranks equates to opportunities for the school and the university, he said, the far more important matter is that better rankings and reputation translate into greater opportunities for the students enrolled in the programs. Backing up a bit, Fuller said he was attracted to the opportunity to lead Isenberg because he saw a solid program that was, in his view, but also that of many others, underperforming. And he saw an opportunity to change that equation. And while designing and building that perpetual-motion machine he mentioned isn’t the specific wording on his job description, that, in a nutshell, is what he and his team have been doing. Not to oversimplify things, said Fuller, because there is nothing really simple about all this, attaining more reputational capital, and thus climbing in the ranks, boils down to those two elements mentioned earlier: improving the story a business school has to tell (and there are many elements in this equation) and then telling this story in a louder, more effective voice. And this brings us back to those main assignments for his team — creating a plan and then executing it. The plan, Fuller told BusinessWest, has many elements, or building blocks, if you will, all incorporated into the design for a reason — or several of them. • Create sufficient momentum to allow each of the above to perpetuate itself and grow in size and strength. Elaborating, Fuller said everything his team does is student-focused and undertaken with the goal of improving outcomes, meaning everything from job opportunities to salaries. One of the keys, he said, has been an outside-in look at curriculum, whereby industry leaders provide input on what’s being done and what can be done better. Instead, the school focuses on where the jobs are and, more importantly, where they will be, in realms such as analytics, business intelligence, and operations and information management. Meanwhile, the school has also made major strides in the area of professional development, with initiatives aimed at creating internships, generating opportunities to study abroad (a nod toward an increasingly global economy), and helping students improve interviewing skills, network more effectively, and refine their LinkedIn presence, among other things. Another focus, as mentioned earlier, is that statistic known as recruiter satisfaction, he went on, adding that Isenberg hired a director of organizational metrics, who, among things, garners hard data on just how happy recruiters are with the school’s graduates. As for growing support among alums and other groups, Fuller drew an analogy to big-time college sports. When it comes to telling the story better, Fuller started by gesturing across the conference room table to Chris Foley Pilsner. Her business card reads ‘Assistant Dean & Chief Marketing Officer,’ and she is the first at Isenberg to have such a title. More importantly, she leads a growing team of professionals, said Fuller, adding that the school has become much more aggressive in recent years when it comes to promoting its brand. “We also have a digital strategist and social-media director, among other positions,” he explained. “We’re building up that infrastructure that allows us to tell our story about how good we’ve become. The goal moving forward is to simply have better news to report, said Fuller, meaning continuous improvement. And, as he noted, moving ever-higher becomes more difficult because the competition is more keen, and those ahead of Isenberg in the rankings have every intention of staying where they are or moving higher themselves. Indeed, Isenberg has an operating budget of $38.2 million (less than one-quarter the total registered by the top-ranked public school, Indiana University’s Kelley School), and an endowment of just over $31 million, far less than one-tenth the figure at the University of Virginia’s Darden School, ranked second overall by BusinessWeek. In many ways, how far UMass has come despite those statistics are serious points of pride, said Fuller, but those factors, and also the lowest total (70) of tenure-stream faculty among the top schools, will represent serious hurdles to moving higher. Elaborating, he said that financial gifts from alums are not the only way to enlarge the budget. Others include corporate gifts, grants, and foundation support, and alumni can assist with all of the above. Overall, to move still higher in the rankings, Fuller and his team will have to build what amounts to a bigger, even more effective perpetual-motion machine, and continue their focus on execution. To elaborate, he moved to the whiteboard in the conference room and drew a rudimentary schematic, in the form of a circle with the word ‘reputation’ in the middle, and references to the three elements that drive it — programs, infrastructure, and image — and the need to focus on all three. Image, as noted earlier, is a measure of how others perceive your school, and includes everything from the many regional and regional rankings to efforts to tell the story. Programs, meanwhile, as mentioned, include everything from curricular initiatives to professional-development tools. And infrastructure is a broad term used to describe everything from facilities to the faculty, and it is perhaps the biggest area of need going forward. The construction project going on outside Fuller’s window is a prime example of infrastructure work, he noted, adding that, with rising enrollment, Isenberg had no choice but to expand its footprint in order to provide the highest-quality education. Another element of infrastructure is the faculty, he said, noting that the school needs to grow its endowment so it can add more endowed chairs and teaching positions and thus enhance recruitment efforts in that realm. “The big hurdle for us to move into the top rung of the rankings is to continue to build this infrastructure of resources that will enable us to compete,” he said, drawing another analogy to college sports, this time to the elaborate training facilities needed to recruit top players and coaches to athletic programs. When asked if there was an accepted road map for public business schools to follow to attain growth and reputational capital, Fuller said ‘no,’ but also that this is another question that those other deans put to him. Specifically, they want to know the route Isenberg followed to become number 1 in the Northeast and reach a status just outside the top 10 nationally. He tells them it’s a well-marked route, but the key isn’t knowing the directions; it’s in executing them properly. That’s how a business school gets where it wants to go. Berkshire Bank Foundation Supports Community Development Corp.
Women Remain Underrepresented in IT — but Why?